Have you got an area where you want shade in summer but lots of sun in winter? Or maybe you have an area where you want morning or late afternoon sun but you want midday shade. Then this DIY project is for you! 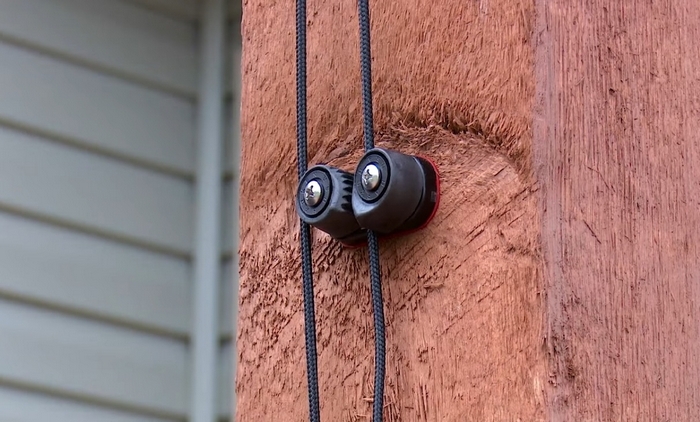 This convenient and stylish canopy slides easily on the cables they hang from to protect you from the sun, and is also easily retractable for when you want a little more sunlight. 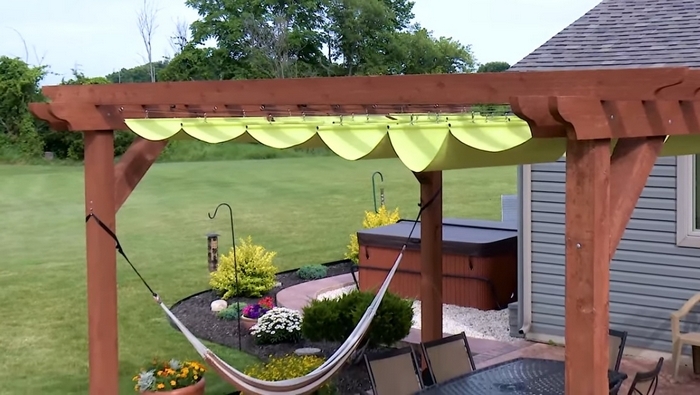 It can be installed on any pergola and other freestanding structures, so this DIY project is definitely for everyone! A lot of details are involved in this project, but Sailrite has made it easier for DIY-ers by providing a wire-hung canopy fabric calculator and a comprehensive materials and tools list! Do you need one in your backyard? 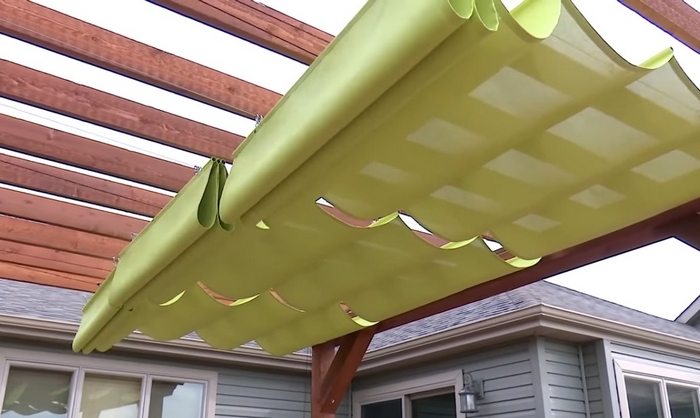 Keep scrolling to learn everything you need to know about this DIY project!